Chronic lower back pain is a leading cause of disability and a major health problem in industrialised countries. Prolonged poor posture and a sedentary lifestyle often cause chronic pain. Poor posture can lead to muscle imbalances around the flexor, extensor and rotator muscles of the back and neck. These muscle imbalances create unequal forces around and weaken the joints, thus making them more vulnerable to stress and pain. Yoga is now emerging as a recognised means for effectively treating chronic back pain. Studies have shown a reduction in pain and functional disability in subjects with chronic lower back pain who undergo a yoga intervention. One of the first steps in practising yoga is to correct postural alignment, which should help in alleviating pain. Yoga can selectively stretch shortened, tight muscles and strengthen weak, elongated muscles. 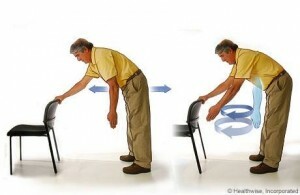 Whether sitting or standing, the spine has natural curves that should be maintained for correct postural alignment. These curves can become habitually flattened or overly curved, leading to abnormal posture that can put excessive strain on vertebrae, discs, joints, muscles or ligaments. Abnormal flattening or curving of the spine may be the result of prolonged poor posture while sitting or standing, such as slumping, or the result of a sudden traumatic stress, such as a road traffic accident. In the long term, abnormal posture can lead to the adaptive shortening or elongation of muscles. Several abnormal curvatures of the spine have been documented, but the three most common are: (1) a hunched upper back – that is, excessive kyphosis – usually associated with a forward head posture; (2) an extreme sway in the lower back, called excessive lordosis; and, (3) a flat back posture. The physical postures of yoga are a form of therapeutic exercise that integrate balance, co-ordination, strength and flexibility. Yoga is emerging as a promising means of alleviating lower back pain and may be of great benefit to patients, particularly when performed in conjunction with other established treatments, such as lifestyle advice, exercise, massage and mobilisations and manipulations. Yoga, when practised in a safe and strategic manner, can be a very useful tool in healing chronic back pain. There is a funny adage which says, Diabetes runs in the family, because no one runs in his family!! While jogging and running is a common form of exercise to keep healthy & fit, overdoing it can result in musculoskeletal s as well. The following is for a novice recreational runner and for health/fitness enthusiasts. When you begin to Jog / Run, first make sure you have the following 1. Good pair of shoes, preferably with anti-pronation and good cushion 2. The terrain you are going to run, like treadmill, outdoor track, on road etc. Prefer the first two if you have an option 3. Hydrate yourself well and have a well-rested night., the last thing you will need is cramps. 4. Warm up with a low intensity cardio, stretches / foam roller. Second, make sure you do a Basic Health / Fitness screening, get your risk factors screened for cardio vascular disease and get your Blood pressure and Body fat % Checked. Get a physician approval before you start as it might be high intense for your Heart and Body. Get a Musculoskeletal Assessment done to check if you are prone for any bone, joint and soft tissue injury like the muscle and tendon. Flat foot, Tight Hamstrings and calf can cause ankle, knee or back injuries. If you have any mobility or strength issues or pre-existing injury, fix them before you start. People who are already into running, need to ensure they don’t overdo it in FIT Terms!! Frequency (How Often should I run) – always have a recovery day in between, 5 days a week of moderate intense activity is good., higher the intensity lesser the frequency (3 days), A low intensity Jog or a brisk walk is something which can done all days. Intensity (How hard should I Train) – High intensity Training can be measured by two ways Heart Rate (HR) & Rate of perceived exertion (RPE). HR maximum (HR max) is calculated by a simple formula 220-age, if you are a 20-year-old adult then your HR max will be 220-20 = 200. A high intensity training will be at 90% and above of HR max. On a RPE scale 0 to 10 where Is 0 no effort at all and 10 is feeling of extremely hard, a high intense training will be 8 and above. Similarly, moderate intense will be 70% to 90% of HR max and 5 to 8 on the RPE scale. Time (How long should I train) – Higher the intensity lesser the duration and frequency. 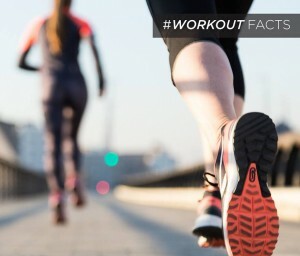 A high intensity workout will be for 20 to 30mins, 2-3 times a week. Moderate intensity will be from 60 to 70mins, 3-5 times a week. Remember to cool down after the run with a low intensity cardio and stretch. You may experience muscle soreness for two to three days when you are a beginner (Delayed onset muscle soreness). If it exceeds more than that you need to see a sports physio or a physician. If you are a weekend warrior (exercise only on weekends) do not do high intensity workout, and have an extended warm up and cool down. It’s also important to cross train as it can help to prevent injuries for Ex: 3days of running and 2days of swimming can help to use different muscles on different days and to reduce the impact stress on the joints, so you can run for your life time. 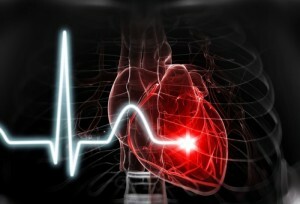 Chronic heart failure (CHF) is a disease most prevalent in the elderly. 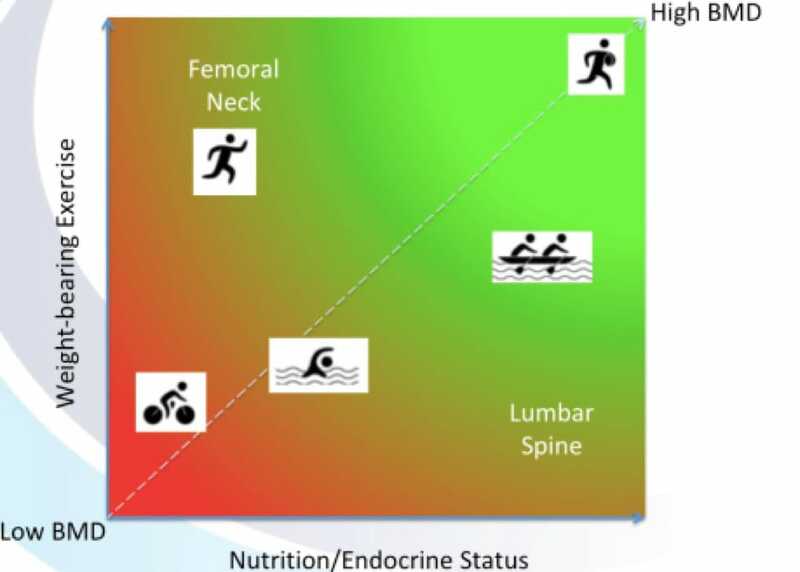 Additionally, symptoms are often aggravated in this population because of an overlap between the physiological age-related decline in exercise capacity and the disease-related functional decline. This study aimed to asses the effects of exercise training on endothelial progenator cells (EPCs) number and function in young and older CHF patients. It was found that 4 weeks of aerobic exercise training are effective in increasing EPCs number and function in young and older CHF patients. 60 with stable CHF and 60 healthy controls were divided into 2 age strata of 65 years old. Subjects were randomized until half of each strata (young healthy, young patients, older healthy, older patients) was in the intervention group, receiving 4 weeks of daily exercise training and the other half was in the control group, receiving usual care. EPCs number and function was measured at baseline and after 4 weeks. This study found an age-related decline in EPCs number and function in healthy subjects, but not in CHF patients. After the short high-dose aerobic exercise training, a significant increase in function and number of EPCs was found in young and older CHF patients, and in older healthy subjects. f exercise interventions in a patient group where CHF has a high prevalence. Many a time patients with frozen shoulder, complain of pain in the night. we as therapists, run out of ideas after a while when nothing works!! The challenging part with adhesive capsulitis stage 1 and 2 (the inflammation &amp; freezing stages ) the patients feels so uncomfortable in the night.,whatever the position they adopt is uncomfortable. They resort to painkillers, hot packs and end up sleeping in sitting the whole night. I have advised them not to sleep on the affected shoulder and to lie flat.,but to no avail. So what helps?? If anyone says i can get frozen shoulder alright in two sittings please don’t believe it. I tell all my patients it will take time.,i give them atleast 3-4 months..I will discuss this in detail in another post. Even when you sleep on the painfree shoulder, the weight of the top hand itself will increase the tension in the shoulder. I have found relief in my patients by asking them to support it on a pillow while sleeping on tummy up and on their pain free sides. kind of a distraction effect. Recently i understood.,that the pain in the night could be because of the migration of the humeral head towards the acromion and reducing the subacromial space and causing compression of the inflammed tissues and thereby pain. It gives a traction effect and thereby relieves pain and the patients appreciate this simple tip. Managing pain is very important to get patient satisfaction and we have to do so using our physiotherapy skills , technique and most importantly common sense in most cases!!! The other day, when i was in Manipal, i was little reluctant to use the shower in the guest house and i used the bucket with mug, to bathe. To my surprise, i ended up doing 25 squats at least in the process! 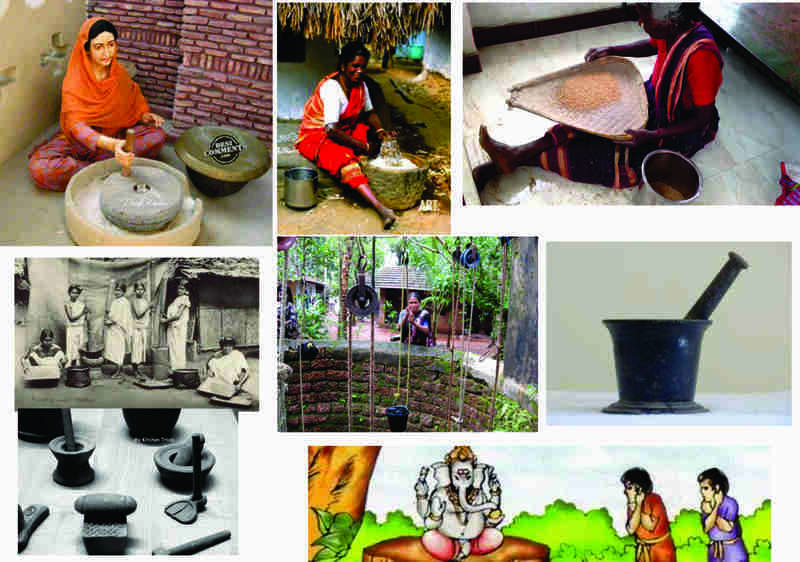 !There used to be days, where we used to sit on the floor cross legged and do the Indian squats.,which till recently our allopathy medicine discourages to do it..We need a foreigner to research and to tell us the Indian squat position is great for bowel movement . Then we have this thoppukaranam., our teachers used to make us do as punishment if we come late to school..again we need a outsider to tell is its brain yoga.We used to run and play barefoot, when we were kids.,now the newly born baby has socks and mitts!! Thanks to western influence. Now the whole world says, walk / run barefoot!! 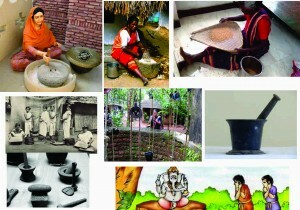 Well water pulley and rope, Carrying pots on the head and waist, pounding rice (ulakkai), the ammi kal (Hand Grinder stone), Chakki and kulavi & aatukal (stone grinder ), mortar and pestle have been traditionally great functional work., solagu or muram and pan grinder are great relaxing exercises, Now they are all near oblivion since everyone has moved towards electrical grinders. Incidentally my physio saranya, accounted how all these were greatly useful during the power cut in the flooding days in Chennai. I also see all of them taking place in fitness in the form of functional exercise in recent times.,which were part of our day today life till about 20 years back!! Cycling / walking to school great cardio exercise.,we used to do doubles and triples on the cycle.,playing on the streets in the hot sun (talk about vitamin D). My 8 year old nephew was recently jumping on the stair case from 4-5 steps.,didn’t feel like stopping him.,as i recently read jumping and plyometrics are great for fascial fitness!! Growing up, we were less protected.,allowed to fall and rise, get hurt.,today i feel children are too protected within the confines of the wall. The whole world is realizing what we as india has offered to the world.,yoga, varma, ayurveda…its time we realized what we have in store!! Exercise for the Health of It. Is TABATA TRAINING for you? There are all kinds of exercise routines from which active people can choose, and the choice depends on what you want to accomplish. For example, some exercise routines are specifically designed to help you lose body fat by improving aerobic energy systems, and yet another may help you to gain muscle mass or power output by improving anaerobic systems. But for those of you who have no health problems or physical limitations that would limit exercise performance, and who want to improve both aerobic and anaerobic energy systems, the Tabata exercise routine may be for you. Named after the Japanese researcher who published his findings in 1996, Tabata is a type of interval training comprised of a combination of high-intensity bouts of exercise and alternating rest periods. Its benefits were demonstrated by Tabata’s research team who compared the training results of two groups of individuals put on two different exercise regimens. One group was placed on a typical endurance exercise program that comprised of submaximal intensity cycling on a leg ergometer for 30 minutes per day, five days per week. The other group was placed on an intermittent high intensity exercise routine that comprised of eight sets of maximal intensity cycling for 20 seconds with 10 seconds rest, five days per week. Each group underwent pre- and post- VO2 max and anaerobic capacity tests. Results of the study indicated the endurance training group improved their aerobic capacity (e.g., VO2max) as expected, but not their anaerobic capacity, and the high-intensity training group demonstrated improvements in both aerobic capacity and anaerobic capacity. The Tabata research protocol used a leg cycle ergometer, but you can use any form or mode of exercise in your Tabata routine. 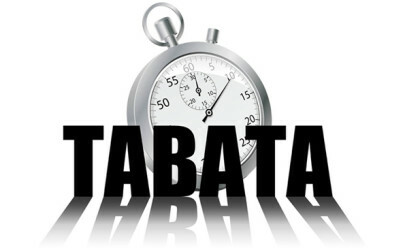 Simply use the Tabata protocol of 20 seconds maximal intensity exercise followed by 10 seconds of rest (totaling 240 seconds or four minutes) , repeating seven more times with no lapse between sets. Because timing is so important, you will need a stopwatch or a clock with a second-hand. The number of reps in each set is not stipulated, but be sure to do them in good form, slowing down if you start to get sloppy. Never sacrifice form for speed or number of reps.
Each four-minute cycle is called a Tabata, and beginners may want to start out with one Tabata per exercise session. For the more adventurous, highly trained, and athletically inclined, you may add Tabatas to your exercise routine. For example, a Tabata session may include one Tabata of leg cycling plus a Tabata of jumping jacks with no lapse between Tabatas. A Tabata circuit can be created by adding other modes of exercise. Exercise at maximal intensity 20 seconds Rest 10 seconds >>Repeat 7 times for a total of 8 sets >>Go directly to next exercise mode. Exercise at maximal intensity 20 seconds Rest 10 seconds >>Repeat 7 times for a total of 8 sets >> Go directly to next exercise mode. Exercise at maximal intensity 20 seconds Rest 10 seconds >> Repeat 7 times for a total of 8 sets >> Go directly to next exercise mode. 1. Yoga is very friendly to your heart whether its in great shape or its in need of help. 2. Yoga exercises hardly increases the Workload on the Heart especially once you are a bit more seasoned in combining breathing with your Poses or Suryanamaskars. 3. Yogic Suryanamaskars combines the benefit of Cardiac Strengthening with Cardio vascular Endurance. person to Stay calm even during adverse situations. 6. Yogic pranayama techniques can improve the blood oxygen levels as well as the Prana content in your blood. 7. Yoga works the heart at a comfortable rate as against other Aerobic activities hence it is suitable for even people with some Heart conditions. 8. The topsy turvy poses in Yoga upon holding for a specific duration, directly reduces the gravitational effects on the heart and hence it actually eases the Heart muscles. 9. Anahatha Chakra located on the Physical Heart upon blossoming transcends a Human mind to Godly qualities and opens up the conduit for Universal love. 10. Yoga is the best for your Heart! Sincerely practice it everyday. 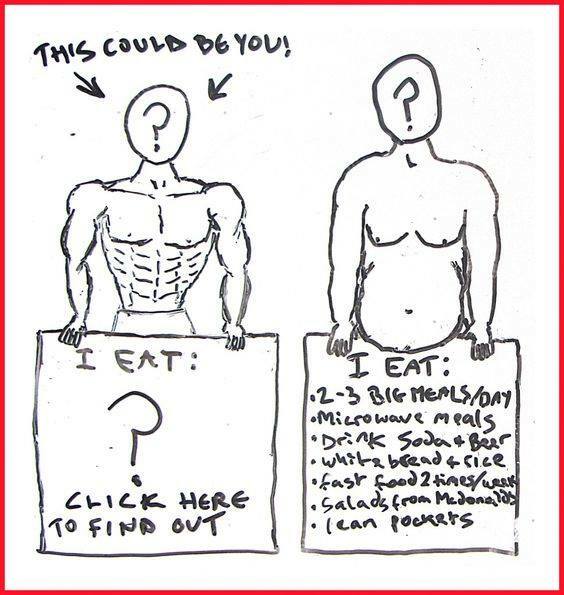 It is well known that body composition is a major component of fitness and that excess body fat is not healthy. However, the distribution of body fat, e.g., where fat is located, is also an important health factor. Overall excess body fat can give someone a “pear” shape –where fat is deposited on the hips and buttocks, or an “apple” shape—where fat is deposited around the middle of the body. Research has shown that these two shapes have very different health implications. Clinically known as central obesity, this location of excess fat has been associated with the incidence of a wide variety of cardiovascular and metabolic diseases, in particular, hypertension, dyslipidemia, insulin insensitivity and diabetes, as well as the presence of knee pain and osteoarthritis and asthma. Most recently, central adiposity hasalso been linked with Alzheimer’s disease. 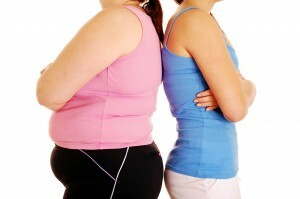 A percent body fat measurement will not distinguish between the two body shapes. It is more useful to determine the waist-to-hip ratio (WHR) which takes a person’s body structure into account (see WHR measurement protocol below). According the World Health Organization, abdominal obesity is defined as a WHR above 0.90 for males and above 0.85 for females. It is important to note here that a differential diagnosis includes distinguishing central obesity from ascites and intestinal bloating, either of which could influence the WHR measurement. such as magneticresonance imagining (MRI). It is this type of fat that makes the abdomen protrude excessively and is jokingly known as a beer gut or pot belly. Surgical removal of visceral fat, but not subcutaneous fat, has been shown to extend the mean and maximum lifespan of rodents. There is a relationship between abdominal obesity and lung function. Though there are medical treatments which have proven to be successful in reducing fat weight, a lifestyle change of increasing caloric expenditure through a permanent exercise routine and moderately reducing caloric intake is still necessary in order to maintain a target weight and percentage body mass when it is achieved. A combination of aerobic/cardio exercises and resistance training has been shown to be more effective than either mode alone. Your trainer should be able to prescribe an exercise program that will help you reach your weight goals. WHR Measurement Protocol: Proper placement of a stretch-resistant measuring tape is important: for the hips, place the tape at the widest portion of the buttocks (usually at mid-point of buttocks from the side view), and for the waist, place the tape at the narrowest point (from the front view). If the waist is not apparent, place the tape at the midpoint between the bottom of the rib cage and the top of the iliac crest. For both measurements, the individual should be standing with feet close together, arms at the side, body weight evenly distributed, and wearing little clothing. The person should be relaxed, and the measurements should be taken at the end of a normal expiration, with tape measure placement parallel to the floor.